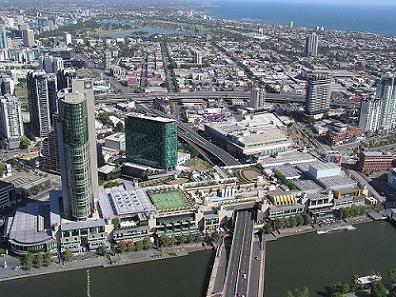 Crown Casino is a casino and entertainment center in Melbourne. Crown Casino is a casino and entertainment complex in the city centre of Melbourne. With over 300 table games and 2500 poker machines Crown is the largest casino in Australia. The largest casino in the world is The Venetian Macao with 6,000 slot machines and 870 table games.